Superdry women's Vintage logo heritage t-shirt. 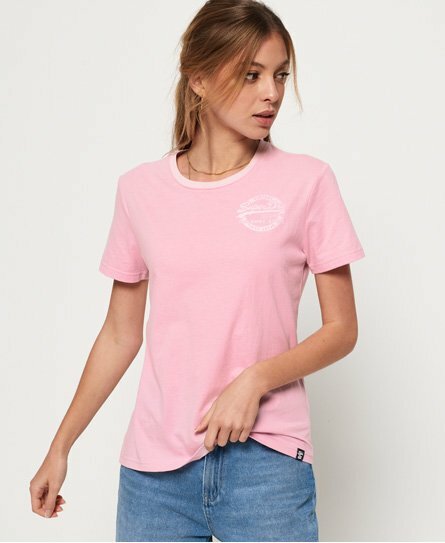 Perfect for relaxed dressing, this short sleeve t-shirt features a small Superdry logo on the chest, a large graphic across the back and a colour contrast collar. Completed with a Superdry logo tab on the hem.